Lego Marvel Super Heroes 2 Is Coming, And It's Going To Be Great For Kids (And Parents!) — GamingWithSwag.com - Dads By Day, Gamers By Night. It's no secret that we at Gaming With Swag LOVE us some Legos. Whether it's casual building, playing Lego Dimensions, or finding extra blocks and sets at garage sales it is definitely one of our passions. Also, you may know that C.J. Stunkard hasn't really played many modern video games, he is more of a retro gamer. This game I am going to get him hooked on. Dean McCarthy and I played through the original Lego Marvel Super Heroes when it was first released way back in 2013 on Xbox 360. 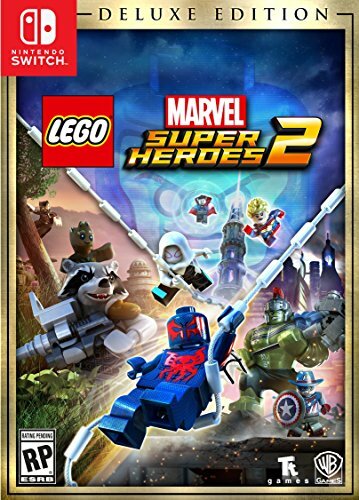 Since Lego is known to pump out the Lego series of video games, I just assumed that this series didn't take off due to poor sales or something. I am glad I was wrong. 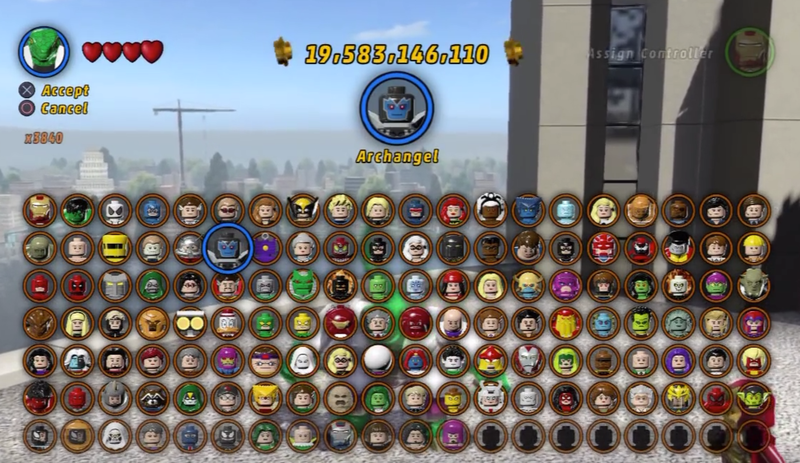 The original Lego Marvel Super Heroes complete character roster of over 130 to choose from. Sneak peak of the Lego Marvel Super Heroes 2 character roster screen, boasting over 200 characters!?! Because Lego inserts quirky dialogue into their games that allow for inside jokes of the particular series, it creates a fun interaction for adult players as well. Constantly breaking the fourth wall, the Lego series has proven again and again that it can appeal to any age of a player. Lego Marvel Super Heroes is no exception, most of the cut scenes and special missions had me laughing out loud at the screen. For instance, there is no reason that Howard the Duck and Vulture should be working together to terrorize the Marvel HQ building, but Lego made that happen. It's these little nuances that make the Lego video games so memorable. Lego Marvel Super Heroes 2 has been announced, and it is back and better than ever. In this game, the time-traveling Kang the Conqueror has created a world called Chronopolis forcing the player to travel through memorable time periods and defeat Kang's forces. The main draw here is the characters. 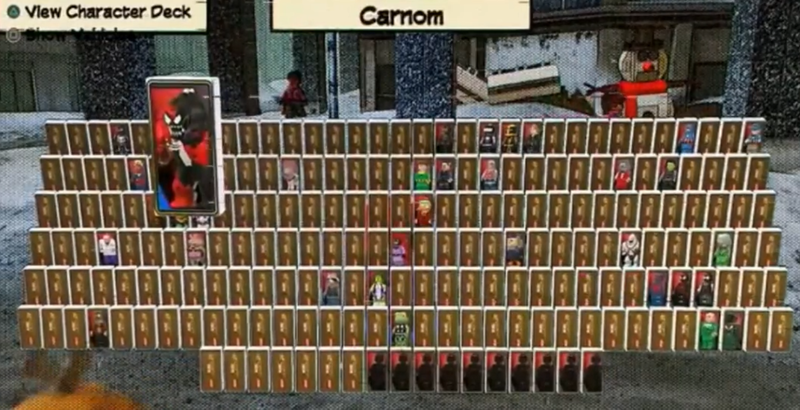 The original game touted over 130 characters, which did not include different costume changes or pallet swaps. The sequel is boasting over 200 different characters, with some cool new additions like Carnom, a fusion character of both Carnage and Venom. I never knew I wanted that to be a thing until now. Carnom is my new favorite Lego character! One of the things that makes this game so much fun is the ability to combine outfits and superpowers together to make ridiculous combinations. Almost like your bonafide "What If?" storylines came to life for you to act out. There is no online play, but there is still a two-player co-op mode. I think this would work really well on the Nintendo Switch. The kids can play multiplayer on the go, or seamlessly dock the system and play on the big screen. There are two versions of the game available when launched this November. A standard edition will cost $59.99 ($39.99 on PC) or $74.99 ($54.99 on PC) for the deluxe version. 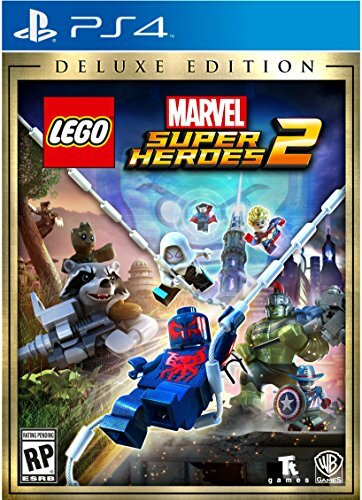 The deluxe version includes a season pass with all future DLC for the game, early access to the Classic Guardians of the Galaxy character pack, and an exclusive Giant-Man Lego Minifigure (Physical copies only). The game releases on November 14th and is available to pre-order now. Check out the links below, including the official trailer for Lego Marvel Superheroes 2. Go head-to-head with the time-traveling Kang the Conqueror in an epic battle across Chronopolis, from Ancient Egypt and The Old West to Sakaar and New York City in 2099. Jun 6 E3 2017 Schedule And The Most Important Games That NEED To Be Shown.